Suitable for use on Brompton Bikes. Fits inside the main folding stem. Make your Brompton lighter with Ti Parts Workshop titanium components. This bolt for the main stem will save you approximately 13.4g compared to the original Brompton component. This bolt was a perfect replacement for the Brompton original. In my opinion worth the price as it saves nearly nearly 2g per £1. Also highly corrosion resistant, although I don't believe the Ti bolts are stronger than the steel bolts they replace, contrary to popular opinion. Hi. This is just the right length bolt for something else I intend to use it for. Could you tell me the thread pitch please? 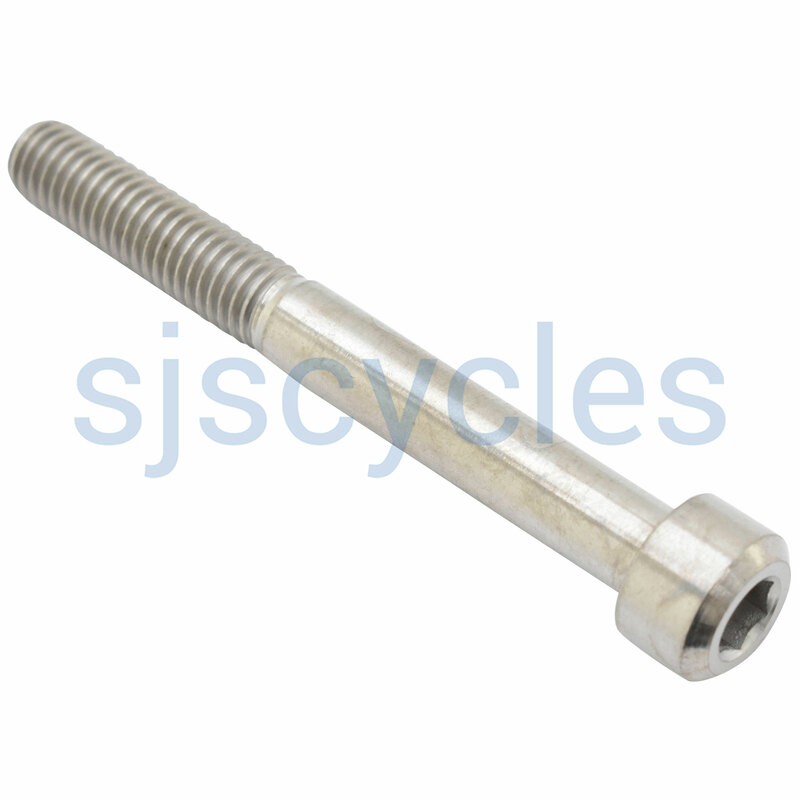 This bolt uses standard M8 coarse pitch which is 1.25mm. Which Part Of The Brompton Does This Fit, Please?